3. It is not possible to customize this setting within Custom Leagues. All leagues are subject to the same constraints. If a position player makes five (5) starts or 10 total appearances at a new position during this season, he will become eligible to play that position in Yahoo! Sports Fantasy Baseball. Pitchers need to make three starts to become eligible as a starter and five relief appearances to qualify as a reliever. ESPN imposes a more rigorous default position eligibility standard (e.g., 20 games played at the position last season, 10 games played in the present season), so you may have to do additional research if you play ESPN fantasy to verify that players listed in these articles are in fact “position eligible” in your league. These rankings are based on 5×5 standard Yahoo! Roto leagues. Rankings are not based on real-life value but fantasy value. Hence, players like Juan Pierre tend to have value for you closer to what Kenny Williams is willing to pay him in real life. Projections listed below are courtesy of Brian Cartwright’s Oliver projection system. I recommend that you purchase a subscription, as the pre- and in-season updates are an invaluable fantasy tool. My rankings are not exclusively based on Oliver’s projections, however. Rankings are primarily determined based on total production by category, balance in production, and scarcity of production level. Because I am ranking players by position, positional flexibility is not taken into account in my rankings (though you should absolutely consider positional flexibility at the draft board). Tiers represent groups of relatively fungible players, guys who if you traded me the guy at the bottom of that tier for the top guy would not require you to add “too much” value to pull off a trade. In other words, guys within a tier are relatively easy to trade for one another. If you have any specific questions about my rankings, please post them in the comments. Here are my top 20 fantasy shortstops for 2012. You’ll notice that my shortstop rankings have a lot of narrowly filled tiers. That is because the talent pool at shortstop is thin and drops off exponentially. Unlike others, I do not play the “empty tier” ranking game when “the next” tier is a major step below the previous tier. I recommend reading the analysis by tier to glean any major talent gaps between tiers. Oh how the mighty have fallen. Shortstop was a relatively robust fantasy position a decade ago. Even through the mid-2000’s, you had a healthy regiment of productive players—many of whom you’ll find, no longer as productive as they used to be, ranked below. Remember 2006? You had a young Hanley Ramirez, and up-and-coming Jose Reyes, a still productive Derek Jeter, Miguel Tejada, and others lighting up the box scores. Nowadays, unless you get a top three name, you’ve gotta worry. And even then, you can’t discount the serious risk of injury. For the first time ever since writing about fantasy, Hanley Ramirez is no longer my top shortstop. Once a seemingly perennial threat to hit .310+ with 180 runs scored plus RBI and 60 or more stolen bases plus home runs, it seems like Hanley fans are praying for .300/20/20 with a respectable R+RBI campaign. From the reports I have read, Hanley’s back issues and shoulder issues have healed, and he’s shown up to camp absolutely ripped. That should support his recent strides towards being a legitimate 25+ home run hitter, but what will it mean for his ever-declining stolen base totals? Only time will tell. A healthy Hanley should be able to turn in an elite .295/25/25 campaign, and there’s no reason to think he can’t reach the 180 runs plus RBI plateau with a reinvigorated offense that includes Jose Reyes and hopefully, barring demotion, Logan Morrison. Injury risk still exists, however, and I doubt I can recommend paying upwards of $40 for a player no longer guaranteed to crack the top 30—even with positional scarcity considered. Hanley’s problem has never been his ceiling—it’s an issue of his floor. That floor is still pretty darn high—high enough to merit ranking in the first tier along with Tulo—but not high enough, especially with declining stolen bases and increasing injuries in recent seasons, to push him over the edge as the No. 1 overall shortstop for 2012. He certain has No. 1 shortstop potential, however. Just do not overpay for the risk inherent. On the flipside, Troy Tulowitzki has continued to battle some form of injury throughout his career, but he has not let injury slow him down since his sophomore campaign. Despite barely playing in 85 percent of the Rockies’ games over the past three seasons (even less over the past two), Tulo has managed to turn in an aggregate 89 home runs and 40 stolen bases over that span while averaging a batting average over .300, reaching the 80 run plateau in each season and accumulating at least 90 RBI each of those seasons as well. Tulo is downright elite, and if he could get to the 150 games plateau this season, 30 home runs and double digit stolen bases are easily in the cards—and even if he only gets to 140 games again this year, there is no reason he can’t reach that plateau anyway. Tulo has a very high floor despite minor injury concerns, and his “100% healthy” ceiling is strong enough to make him the number one overall shortstop heading into 2012—even if he projects for a similar batting average and slightly less home runs plus stolen bases than Hanley Ramirez. Reyes being in his own, separate tier should go without explanation. He’s clearly light years ahead of Starlin Castro and company in terms of fantasy value, but he is too inconsistent an injury risk to legitimately belong in tier number one. Reyes’ stolen base prowess has never been questioned, but he needs to be healthy and get on base to steal and steal successfully. Note first Reyes’ walk rate by season starting with his first full season in 2005: 3.7%, 7.5%, 10.1%, 8.7%, 10.8%, 5.1%, 7.3%. Further consider that only once has Reyes had consecutive seasons of batting averages within 0.015 points of each other (in 2009 he hit .279 and in 2010, he hit .280). Reyes has posted an OBP above .350 in 6 of the past 7 season, but his inconsistent on base rate, paired with hamstring injuries that have limited him to 295 combined games played over the past three seasons, have lead to stolen base totals of 11, 30 and 39. Those are still incredibly useful, elite stolen base numbers, but the combination of injuries that affect his key tool and ability to play the game at all means that while elite stolen bases are possible, so is an injury-derailed campaign or an underwhelming season based on what it is going to take to acquire Reyes on draft day. This is not to say that Reyes is not a candidate to return to his 15+ home run, 60+ stolen base days—he certainly isn’t. But like Carl Crawford, with Reyes, you’re always paying for the upside because someone is always going to like him for it and because he is a brand name commodity. Reyes’ floor is surprisingly low for a top tier player considering his injury propensity. In fact, let’s go back to that Carl Crawford analogy of yesteryear for the moment. I think it is very fitting. Jose Reyes is the Carl Crawford of shortstop—a guy with loads of potential that you’re always paying for, despite plenty of risk that he won’t get there. Tier three represents a huge dropoff from tier two. Whereas Reyes is reasonably capable of elite 50-60 stolen bases plus home run production (albeit at a likely overinflated price), it’s a stretch to say that Castro or Cabrera have a ceiling of even 35. Castro took some modest strides forward in the power department last year, reaching the double digit home run plateau, but there’s no real indication yet at this point that he’ll be capable of more than 15 in his prime. Despite being a legitimate .300+ batting average guy who could legitimately compete for plenty of future batting titles, his career walk rate of 5.2 percent is going to severely limit his stolen base value which is arguably its highest potential in Castro’s younger seasons. Let’s be honest. Castro’s .040 isolate discipline is downright pitiful. That means his potential to reach the 30 stolen base plateau and turn in a 40+ home run plus stolen base season is a serious question mark. But hey, when pickins are slim, you can’t complain too much. Castro’s ceiling is pretty high given his age and production to date and while last year’s step backward in the walks department was a disappointment, there is always the pipe dream that a Cubs prospect can learn to walk…right? .300/12/25 is totally in the cards, but like his stolen base totals, Castro’s runs totals will be contingent on his on base rate (in addition to how the Cubs’ offense falls into place in 2012). Asdrubal Cabrera is a solid shortstop option that, before 2011, never got enough credit for his potential. .280/15/15 capable shortstops are not easy to come by (especially in the American League) and although 15 stolen bases or home runs is hardly going to light any worlds on fire, balanced above average production across the board like that is a seriously underrated fantasy commodity. Diversified players are easier to replace when they go down with injury, and supplement when they disappoint. That might be a pessimistic way to view fantasy, but a wise man once told me to always plan for the worst and hope for the best. Plus, injuries are not exactly a non-factor in fantasy. Be careful not to draft Cabrera in 2012 for the wrong reasons, however. Anyone expecting another 25 home run campaign, or much power growth above that is guaranteed to be sorely disappointed. Consider Cabrera’s isolated power and plate appearance totals by month last year: .175/123, .245/114, .171/18, .170/105, .195/77. In the context of a career .133 ISO and pre-2011 career high ISO of .138, the “breakout,” if legit is probably closer to the .170 ISO mark (approximately 18 home run potential) than the 25 bombs he blasted last year. Not convinced? Consider his home run profile. 15 of his 25 home runs (60 percent) were “just enough” homers. Only Miguel Cabrera, with 16, had more “just enough” home runs than Asdrubal Cabrea. Whereas Miggy has a track record of power and whereas Miggy averaged 396.7 feet per home run last season, Cabrera’s average home run distance was 383.2 feet. Draft Asdrubal for the safety net that .280/15/15 provides. Don’t draft him expecting top 50, or likely even top 100, overall production. Andrus’ ceiling is arguably as high as Asdrubal Cabrera and Castro, but his inefficient stolen base rate could lead to fewer stolen bases overall. Ron Washington has not been afraid to apply the red light to his speedsters over the past two seasons, and Andrus only accumulated two net steals in the second half. Andrus also saw his walk rate dip last year after major strides forward in 2010. That’s a serious risk worth noting for a guy whose value almost entirely derives from his stolen base totals. .280+/40+ is still in the cards, though. Once upon a time, Jimmy Rollins was a top tier shortstop. While he still has plenty of defensive value that is totally irrelevant to fantasy, Rollins’ ceiling at this point is pretty modest and his floor is pretty low. Now that we can all agree that Rollins is not a legitimate 30/30 candidate, his draft day value has finally approached his actual value. A 15/30 campaign is certainly realistic, but it’s likely to come with a negative .250 batting average and injury risk. And Rollins has seen injury zap his playing time in three of the past four years. Rollins could easily end up among the top five shortstops by the end of the year if he repeats his 2011 performance, but there’s a lot of “if” floating around that statement. J.J. Hardy’s always been an intriguing player, and despite ranking him in the lower portion of my shortstop rankings last year, I cautioned he was a name to watch with potential. And he delivered on that potential. Can he sustain it again for 2012? Talent has never been a question for Hardy. He has legitimate power when healthy and “on,” but ever since the beginning of the second half of 2008, he’s either been “off” or injured. 2011 was a huge return to form, but it remains uncertain what level of production Hardy can sustain in 2012 for fantasy owners. A look at Hardy’s month-to-month splits positively indicates consistency over “burst production,” which is always a great sign that a player can/will retain prior year gains, but whether Hardy can stave off injury next year is a serious question. Furthermore, it was never really clear what distinguished Hardy’s first half of 2008 from his second half. Yips? Unspoken injury? I am cautiously optimistic about Hardy for 2012. By the middle of 2011, people were pretty much done with Derek Jeter and the $15 I paid for him last year at the draft table in the THT Fantasy league looked like an absolute joke. But give the Captain some credit. He ended the season with respectable, Jeterian numbers. He batted .297 (.327 in the second half) with a .355 overall OBP (.383 in the second half) with 16 stolen bases and 6 home runs. His runs total was a bit lower than hoped for, at 84, but his RBI total (61) was more or less par for the post-2007 Jeterian course. No one legitimately expected more than a .300 batting average, 5-10 home run, 15-20 stolen base, 100 run campaign, and Jeter delivered, more or less, on those expectations (albeit on the lower end with plenty of runs scored disappointment). Now I am not going to look too far into his second half, but Jeter’s overall line is about comparable to what I am expecting in 2012—hopefully with maybe 10+ more runs scored. Jeter is a shell of his former fantasy self, but he’s still a top 10 shortstop that is the model of consistency and expectations at this point in his career. Jeter will provide a little all around by season end, and that’s certainly worth something. Alexei Ramirez has a higher ceiling than Jeter at at this point in their careers, but where did he go in the second half of 2011? Will Ramirez ever return to the 20 home run power with above average batting average production he flashed in his rookie season? No clue. That’s why he’s ranked lower than Jeter—especially with the stolen base drop off last year. Dee Gordon is pure speed. He’s a modern day Juan Pierre with positional scarcity on his side. In 131 games in A-ball in 2009, Flash Gordon swiped 73 bases. Gordon is not an exceptionally talented hitter, however, and since he has a deathly allergy to walking (3.0% in the majors last year, 5.8% in Triple-A last year), his value is going to be entirely contingent on his BABIP luck. With lightning speed (7.7 speed score! ), that’s a bet I’d be willing to take. But batting average (a vicarious representation of his OBP potential) is always a risky stat to bank on — especially for young, unproven players. Thankfully Gordon does not strikeout a lot, and slaps the ball on the ground a lot (56 percent groundball rate). Like Hardy, I’m cautiously optimistic. If he hits .290 or higher next season, Dee Gordon could be a huge breakout player. If he hits below .280, he’s going to provide empty stolen bases. With zero power, a less than exciting MLE, and no RBI prospects, I can’t seriously consider ranking Gordon any higher. But don’t let that fool you; I always tend to undervalue pure speed and Gordon could easily make this ranking look too conservative with a good enough batting average. Risk plus moderate potential abound here. Erick Aybar offers “Derek Jeter power” with 20-30 stolen bases and the potential for a respectable batting average to boot in a great offensive line up. And he’s only 28. But until I see him do it again, the most I’m going to project Aybar for is a .270/7/25 campaign with R/RBI potential contingent upon lineup slotting. Stephen Drew used to always be one of those guys a few people in every league inevitably liked as a sleeper—but the best season of his career, 2008, was really only Jhonny Peraltaian at best. 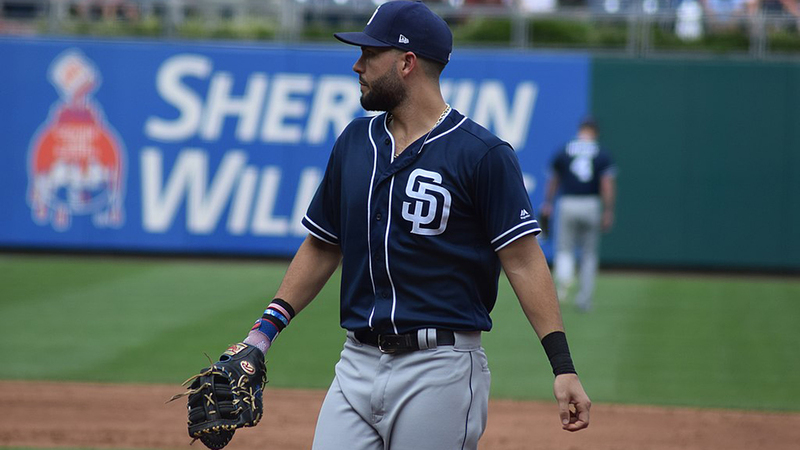 Can we finally acknowledge Drew for what he is: an inconsistent batting average risk with teens home run power and modest “first baseman like” stolen base contributions. With injuries looming, the floor is too low to call Drew mixed league relevant, but as a $1 late round flier, Drew could certainly payoff as a bargain buy if he’s healthy as a middle infielder or mid-season trade chip. I can’t really decide who I like more for deeper mixed and NL-only leagues: Tyler Pastornicky or Zack Cozart. Cozart certainly has the higher pedigree and more balanced offering (15/15 capable), but his batting average potential is certainly negative. Pastornicky, on the other hand, offers Jeter-like power with 30 stolen base potential. I personally see Pastornicky as a more legit Bonafacio-type for 2012 without any track record to back up that statement. Pastornicky’s going to probably bat 8th, however, and that’s usually a death bell for fantasy relevance. Do you think the Braves regret trading Yunel Escobar yet? Speaking of which, his .280/15/5 upside when healthy can’t be ignored—especially in AL-only leagues. Yunel Escobar could be a solid, cheap handcuff for Jose Reyes. There’s just no real upside at all here, though, which is why Escobar is ranked so low. Ian Desmond arguably offers 30 stolen base plus home run potential, but he is a huge batting average liability that does not walk very much at all. Desmond’s stolen base totals last year were also feast or famine throughout the season, so H2H players need to be wary. Lastly, we have Alcides Escobar. He’s got massive stolen base potential, right? Well he does not walk and so far has not hit for average either, so his actual fantasy relevance outside AL-only leagues is highly questionable at this point in the game. Guys who just missed out on being ranked include Mike Aviles (playing time concerns) and Cliff Pennington (a really poor man’s Elvis Andrus). Aviles could arguably be a top 15 shortstop this year if consistent enough playing time falls his way. As always, leave the love/hate in the comments section below. Jeffrey Gross is an attorney who periodically moonlights as a (fantasy) baseball analyst. He also responsibly enjoys tasty adult beverages. You can read about those adventures at his blog and/or follow him on Twitter @saBEERmetrics. It really looks to me like you could combine tiers 3-7 into one big tier. Is Jhonny Peralta at #13 really all that much different than Asdrubal Cabrera at #5? Do you think Andrelton Simmons would fare any better than Pastornicky? Simmons won’t touch the majors this year barring disaster or a huge breakout. He’s 23 and hasn’t touched AA. Pastornicky has the job to lose. it’s a valid question considering pastornicky is having a disaster of a spring while andrelton is impressing. Pastornicky doesn’t look good but Andrelton has 10 spring ABs to his name last time I checked. Let’s not jump the gun here. no need to get snooty. i am not the only person wondering this. there are plenty of write-ups about the current SS situation in ATL, sorry if that impacts your timetable. Sorry if that came across as snooty. I’m just strongly of the belief that people are overreacting to a very SSS, and how many jump from A ball with halfway impressive numbers? Maybe I’ll be proven wrong, but I’d think Pastor has it locked up. That said, would rather have Cozart at this point. sounds good. looking forward to opening day! Is Furcal such a bad fantasy SS option he’s not even listed? His upside is so limited and he is so injury prone, that I would rather have guys like Pastornicky, etc. ahead of him. Agreed. My Cardinal colors were showing a bit….thanks.